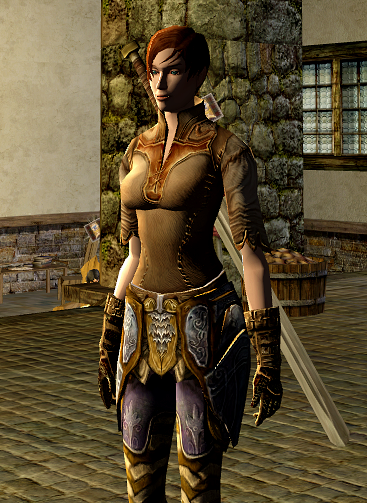 Aerynsol is a human captain, in case I decide to try out a new class, but mainly she is a metalsmith, making armor for the champion. 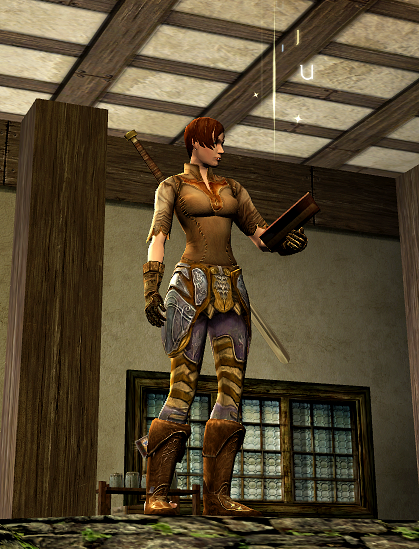 Her name is a nod to Aerin of The Hero and the Crown, a flame-haired, dragon-slaying swordswoman (“sol” is the book’s wonderfully un-girly title for a princess; “sola” = prince). This is her plain working outfit. 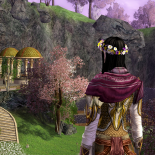 This entry was posted on 2014.03.24 by vyh in Outfits and tagged aerynsol, brown, cosmetics, heavy armor, lord of the rings online, lotro, metalsmith, outfits.